Priced at RM189,900, the question on everyone’s mind - us included - is how many people will pay BMW 318i money (RM202,800) for a Toyota Camry? Yes, the Toyota might have more safety features and gadgets but who is going to argue against the value of a BMW badge? So is Toyota being a bit too ambitious? Toyota’s quasi premium push for the Camry is not unexpected once you understand the diminishing numbers in this so-called D-segment class. Instead of a Camry or an Accord, today’s buyers are favouring SUVs. Some like Nissan have discontinued the Teana to focus only on the X-Trail. Even Honda is reducing support for the Accord, cutting the range down to just two variants while expanding the CR-V’s to four. If you are thinking of the all-new Accord that’s coming here next year will be a better buy, don’t expect it to be cheap because prices in the US have also risen in tandem with the Camry. Some markets like Thailand will see a reduction prices but that’s due to incentives for hybrids – whose extension in Malaysia is uncertain. 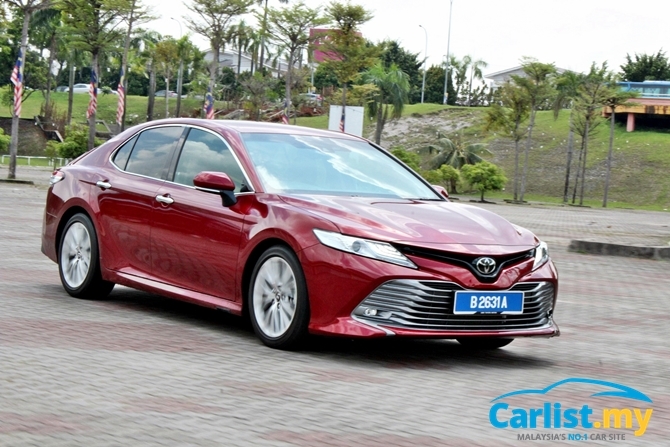 The Camry’s higher price (no more 2.0-litre model) puts it on par with the Mazda 6 2.5 (RM202,723) and Volkswagen Passat 1.8 TSI (RM177,619). 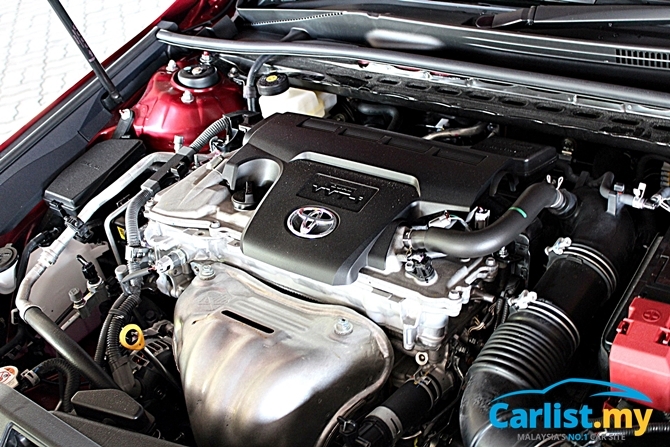 However the Camry’s main aim is to entice buyers of the smaller and lesser equipped Mercedes-Benz C200 and BMW 318i with substantially more powerful engines, better safety features, and a bigger and more premium interior. Our doubts with the Camry’s new asking price however, is tempered by reports from journalists in other markets, many of whom have praised the all-new Camry’s ride and handling. The senseis of ride and handling at Mazda are calling the Camry a better benchmark in handling than a BMW 3 Series. So when we found out that UMW Toyota Motor is quietly running one homologation unit, we cajoled hard to be given the keys to the car.  They relented, but only for 24 hours, as the car is supposed to only make its first local public appearance at the KL International Motor Show, which will be opened to the public by the time you read this. 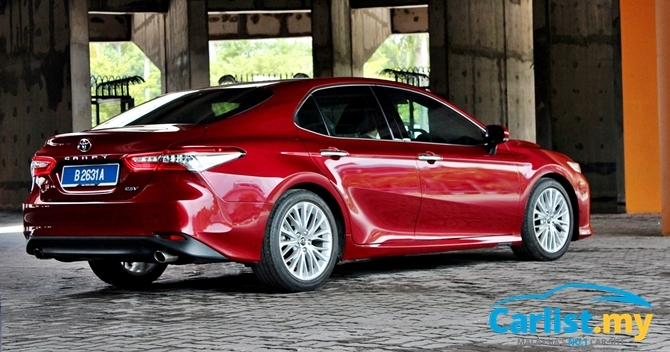 Seeing the Red Mica Camry in person, the controversial front-end is even more shocking than the pictures suggest. It’s like seeing a T-Rex – not pretty but you will drop your jaws nonetheless. This is not a Camry that’s conservatively styled to please everyone. Road & Track’s review of the US market Camry ended by saying “Some people will despise this car. That’s a step in the right direction.” We can’t agree more since casual drivers now prefer SUVs, it’s time to narrow the Camry’s focus and make a better handling, more expensive Camry for a select group. Staying in the safe middle ground just won't do anymore. Instead, the Camry has broken out of its Japanese salaryman suit and emulated the persona of Samuel L. Jackson, maybe Eminem - cultivating a very strong character, which might be too offensive to some but if you don't like them, they will tell you to piss off. The Camry is not apologizing for being controversial. We have also seen the car in more conservative Silver Metallic and Burning Black colours and it doesn't look half as shocking. So it's more about the colour than the design. 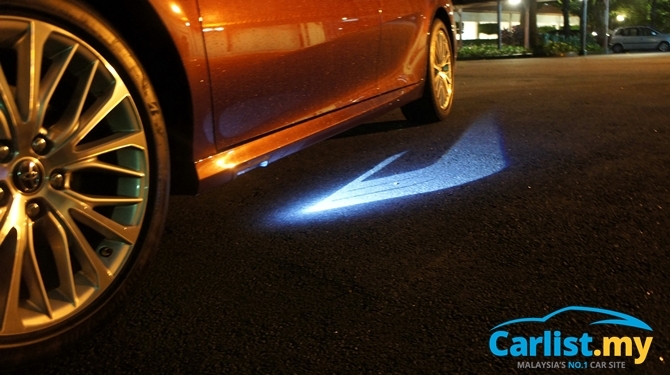 Hidden inside the Camry’s side skirts are optional LED projectors (RM990) that shine a BMW 7 Series-style welcome light on the ground when you approach the car. 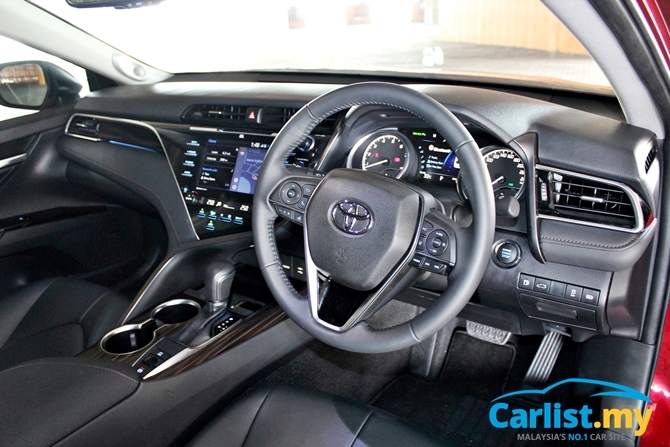 Inside, the all-new Camry is just as shocking, but in a more acceptable manner. Open the driver’s door and the power-adjusting steering rack retracts to aid for easier access into the already spacious cabin.  That’s something you don’t get even in a Mercedes-Benz C200 or BMW 318i. The dashboard is unnecessarily busy looking. Its premium ambitions are clear but it’s still not comparable to the Mazda 6, which still has the best interior in its class. Where the Toyota trumps the Mazda (and also Volkswagen Passat, or any 3 Series or C-Class) is interior space, plus larger storage in the door pockets and centre console. It also looks better at night than the dark Mazda, which despite using premium cabin materials, doesn’t have any ambient lighting. The accelerator pedal is also floor-hinged for more precise throttle control, just like proper driver-focused cars like the Mazda 6 or a BMW. 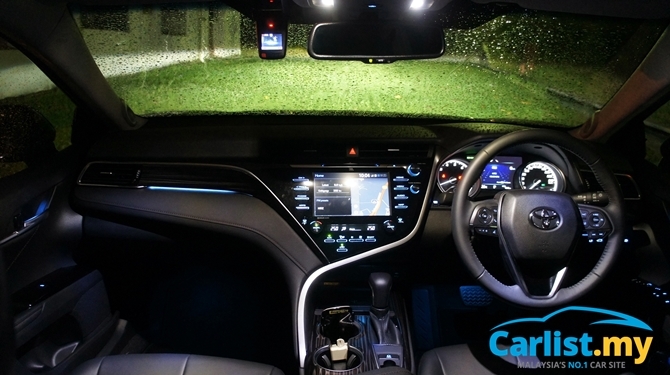 The electric parking brake releases automatically every time you shift from Park to Drive, a subtle difference from its more expensive peers that require you to accelerate slightly first before releasing. The carry-over 2AR engine has the familiar slightly gruffly engine note but it’s been tweaked slightly to produce 184 PS/235 Nm. 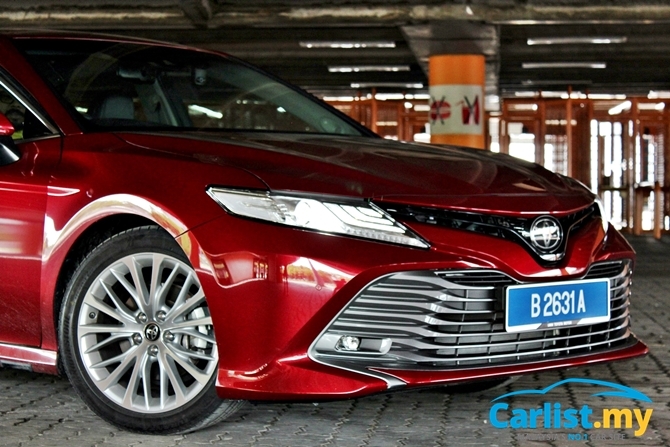 On paper, the differences are negligible but on the move it feels far more responsive than the previous Camry 2.5V. It certainly doesn’t lack power. Compared to the Mazda 6 2.5, the Camry’s engine is not as refined and when pushed, lacking the SkyActiv-G 2.5’s growl. Objectively, the engine still does an impressive job of propelling the car. It could easily keep up with a Passat 1.8 TSI, and would certainly outgun the BMW 318i (just 136 PS). Where the Camry regains ground from the Mazda is with its smoother 6-speed automatic transmission. It has the same six ratios (rather tall ones though) as the Mazda but the Mazda gearbox’s lock-up clutch is overly active for urban traffic, resulting in jerkier start-stop traffic operation. And no, don’t assume that this, being a Toyota, is going to trip on its shoelaces in the corners chasing after the C200 and 318i. With a sufficiently long wheelbase, a new tauter chassis, and precise and well weighted steering, it is capable of tracing along fast bends just as precisely as either entry-level German sedans. Dynamically, it’s between the autobahn storming Passat and the twisty trail loving Mazda 6 – precisely the spot we want a sportier Camry to be aiming for. The Camry is confident in the corners but lacks the agility of the Mazda. By that same token, the Camry handles the long distance straight roads better than the Mazda. Its steering filters out frequencies that would otherwise be felt in the rawer Mazda’s steering, a downside to having a more communicative steering. In the corners, it’s not too far away from the Passat’s weighted but slightly numb off-centre feel. 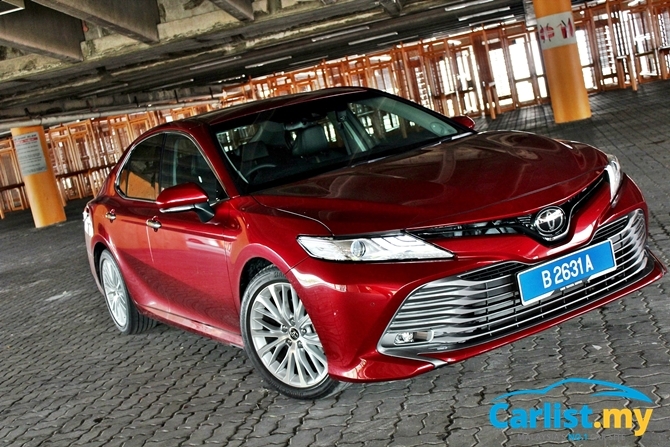 Driving at speeds that should not be made public, the Camry is without a doubt quieter and more comfortable across a wider range of roads than the Mercedes-Benz C200 facelift that we recently tested. Shocking but true. 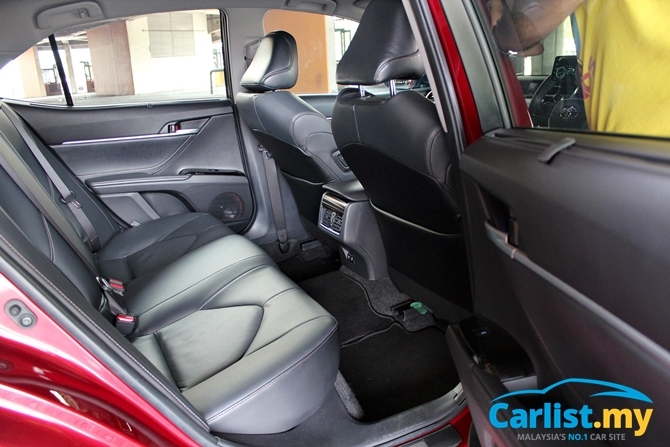 But the biggest treat in the Camry’s interior are its seats. It’s among the best seats we’ve tried this year outside the 7 Series/S-Class, trailing only behind Volvo. Firm and yet supportive in the right places, the Camry’s seats put to shame those used in entry level Mercedes-Benz and BMW models. 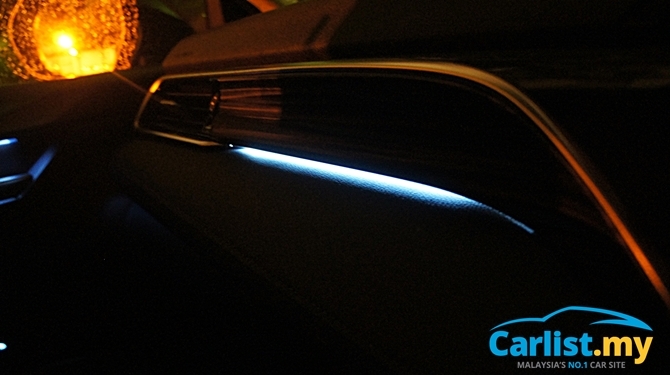 The Camry’s second biggest treat is the 9-speaker JBL audio system. It trumps the Mazda 6’s Bose and the Volkswagen Passat’s Dynaudio, and is second only to the Bowers & Wilkins used by Volvo. It might be fitted in a Toyota but the purity of its sound reproduction is far better than what’s offered in the Mercedes-Benz C200 and BMW 318i. 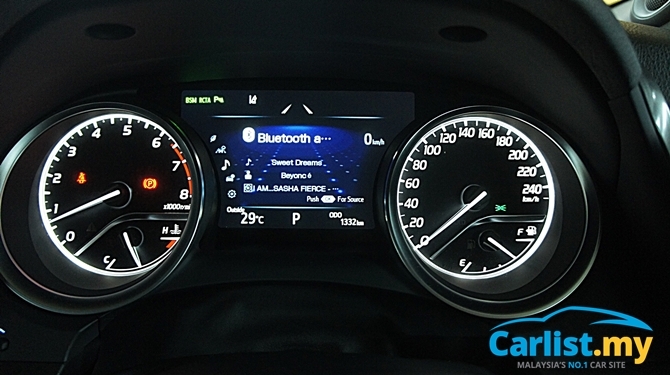 The infotainment also supports voice control, but only limited commands to tune the FM radio and place calls on a Bluetooth paired phone. For the first time in the Camry’s history, the list of safety features is too long to mention here. 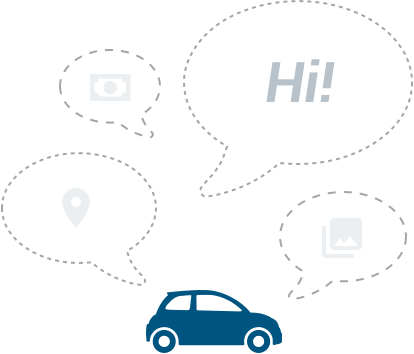 Rest assured that it’s better equipped than an entry C200 or 318i – adaptive cruise control, autonomous emergency braking, lane departure alert, rear cross traffic alert, and automatic high beam included. So what’s not to like? Quite a bit actually. There are no perfect cars and the Camry certainly isn’t changing that. The side mirrors tilt downwards for easier view of the kerbs every time you shift into Reverse, just like most premium German cars. The problem is that in this Camry, it tilts both sides and there is no option to selectively enable or disable either sides. Then there’s the keyless Smart Entry which works only on the driver’s side - a common shortcoming for Toyota sedans including the Vios. If you have to enter the car from the passenger-side, you’ll have to reach for the key fob. Ergonomics are a bit of a hit and miss. 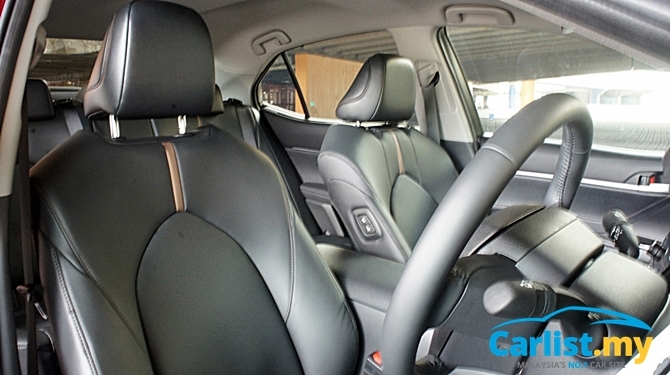 The arm rests on the door panels are straight and flat, which on a big car like the Camry, means that reaching for power window switches and door locks, especially for the front passenger, requires some stretching. In a Mazda 6, the arm rests sweep upwards for easy reach. 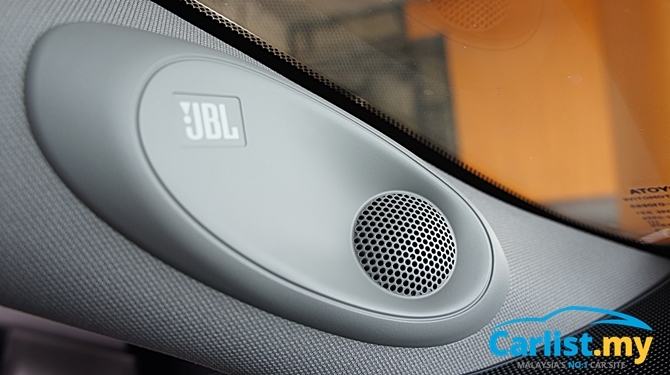 The JBL’s sound quality is impeccable but the infotainment's user interface is average - itself not a problem until you jump into a Mazda 6 and realized how much better the MZD Connect’s centrally located, beautifully machined rotary knobs work. For a car of this size, 360 degree view parking camera would’ve been appreciated. 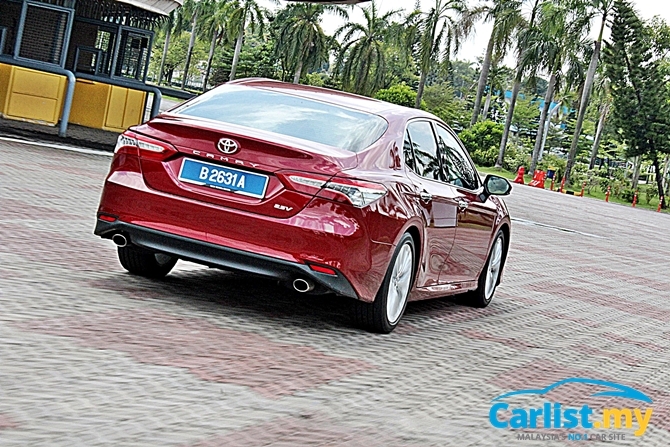 Oddly enough, the feature is available in the smaller Vios but not the larger Camry. None of these are deal breakers but needs to be pointed out nonetheless. In conclusion, yes the Camry has what it takes to take the fight to entry-level German premium compact sedans. It’s better in every measurable way but at the same time, it’s foolish to assume that the days of the C200/318i are numbered. Many will see the allure of a premium badge steeped in heritage to more than compensate whatever shortcomings in features in these entry-level German sedans. 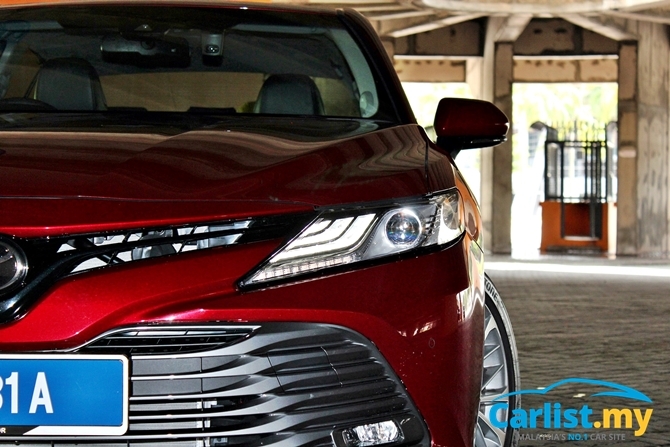 What the Camry brings to the table however, is a third, more rational option and as a bonus, it has the driving performance and handling to not be embarrassed by any German autobahn-honed cars. 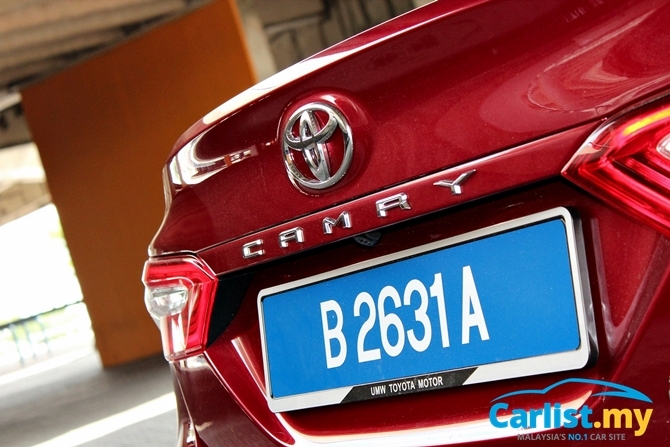 As impressive as the Camry is, we have to admit that it still doesn't carry the cachet of a Mercedes-Benz or a BMW badge but as a consolation, you can be certain that with a Toyota, the ownership experience is likely to be drama-free, with far cheaper maintenance bills too. Against a Mazda 6 however, the decision becomes harder and that’s a very high praise for the Toyota. Some will hate the Camry's new direction but against a diminishing sedan market that’s losing ground to SUVs, throwing out the old Camry’s formula of trying to please everyone is a welcome change. As for the Honda Accord (RM168,998 for 2.4-litre model), it’s overdue for a replacement and the only thing going for it now is value for money. 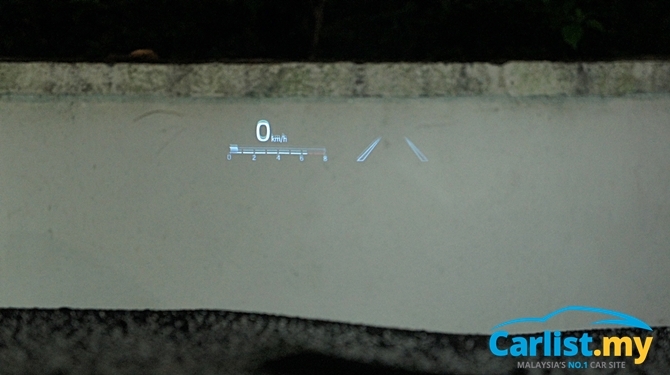 It doesn’t drive or ride as well but you still get Honda Sensing, which matches the Camry’s Toyota Safety Sense suite.